Read our review of the new Panasonic Lumix FZ1000, the World's first 4K recording compact camera features a 16x optical zoom lens, Wi-Fi, and EVF. The Panasonic Lumix FZ1000 is the World's first compact digital camera with 4k video recording, and features a 20.1 megapixel 1inch sensor along with a bright Leica 16x optical zoom lens. The camera is priced at £749, and will be available in Mid July. Pre-orders will benefit from a free battery and case offer. The camera features a Leica 16x optical zoom lens, equivalent to 24-400mm, designed to be the best in class, as well as being designed to give bokeh with no "onion rings". The Leica DC Vario-Elmarit lens features a bright f/2.8-f/4.0 aperture, and the camera offers full manual controls, scene modes, and an intelligent auto mode. The 20.1 megapixel Live "MOS" sensor is a 1inch sensor, and the camera features an improved white balance system (multi-area white balance evaluation system). With a new Venus image processor, the camera offers highlight / shadow adjustment, as well as built in raw processing. The video is recorded at 4K (3840x2160 at 30/25fps) and you can take stills from video for 8 megapixel image output, as well as shoot full HD video at 100fps, 60p, and 50p. The camera features a number of useful features for both video and stills, including pinpoint focus, focus peaking, zebra display, and face and eye detection. Built-in Wi-Fi makes it easy to transfer images to a compatible smartphone, or alternatively remotely control the camera. There is an OLED electronic viewfinder (EVF) with 2,359k dot resolution and it is said to have a 300% higher response time than previous Panasonic Lumix FZ series cameras. The nearest competitor to the Lumix FZ1000 is the Sony Cyber-shot RX10 which also features a 1inch sensor, along with an 8.3x optical zoom lens and a bright f/2.8 constant aperture. A large rubberised hand-grip gives a good area for a firm grip on the camera, and this extends round the rear of the camera with a raised ridge for your thumb. 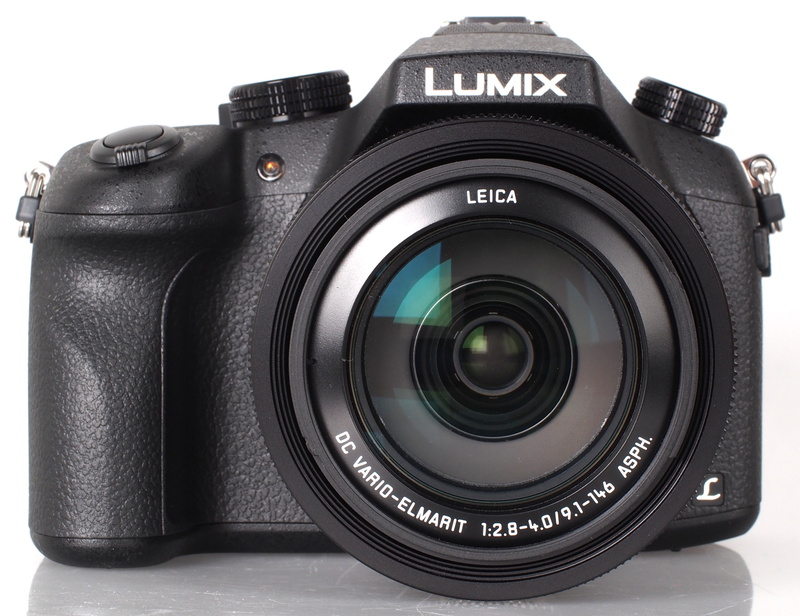 The design and handling, as well as the controls of the camera are very reminiscent of the Panasonic Lumix GH4 with a reassuringly solid feel to the build of the camera. The lens barrel is made out of metal, giving the camera slightly better feel than the standard plastic, and there are two switches on the side, one to switch optical image stabilisation on and off, and the other lets you switch between the lens ring controlling zoom or focus. The 3inch screen on the back is a tilting / vari-angle screen that can flip out and twist round to face the front of the camera and the screen uses a gapless design meaning it looks very good with good viewing angles. The Panasonic menus are clearly laid out, and the Q.Menu button gives quick access to common settings on the rear screen. The menu system has built in help so that you don't necessarily need to read the manual to understand the options and settings. There are five physical function (Fn) buttons on the camera, giving quick access to Wi-Fi, Q.Menu, Back/Delete, and LVF (Live Viewfinder). You can customise what these buttons do in both record and playback mode. There is a dedicated video record button, as well as a drive mode dial on the top. 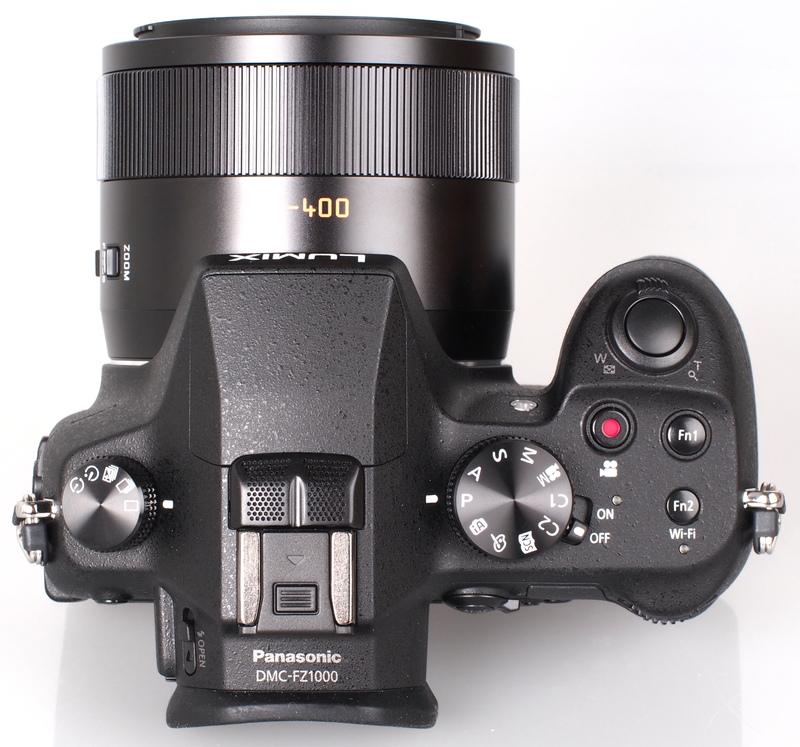 The rear features an AF/AE lock button as well as a focus mode switch, and the 4-way controller gives quick access to ISO, WB, AF, and focus area. Although it may seem like there are a lot of controls and buttons, which could appear confusing to the beginner, it doesn't take too long to become familiar with the position of the buttons and controls, and this makes it easy to change settings without having to go into the menus. 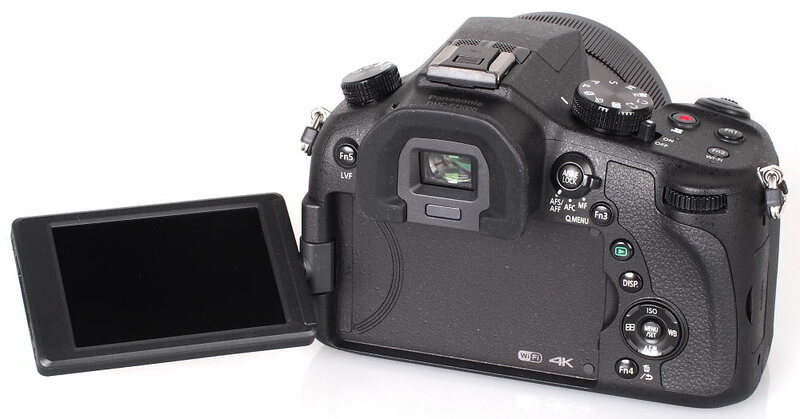 The electronic viewfinder (EVF) featured is a 0.39inch OLED screen with 2359k dot resolution. There is an eye-detection sensor, so that when you hold the camera up to your eye, it will automatically switch to the EVF. The view through the EVF is very clear and detailed, and the refresh speed is good. Wi-Fi can be used for remote shooting and viewing with a smartphone, playback on a TV, send images during recording, or to send images stored in the camera. To setup the connection with a smartphone you can scan the QR code, or enter the connection details manually. You can access a number of photo settings using the app, as well as set the focus point using the touchscreen on the smartphone. Playback lets you view the images on the camera, and you can also add GPS information to photos, or create a photo collage. Battery life - Battery life is rated at 360 shots according to Panasonic / CIPA test results, which is good, although if you plan on shooting more, or want to record a lot of video we would recommend a spare battery. Focus and shutter response are both extremely quick, and the camera has a quick switch on time, as well as shot to shot time. We weren't able to achieve the 12fps continuous shooting speed, however 8.3fps when shooting JPEG is still quick, and we expect that the cameras available in stores should be able to reach the full speed. We will re-test when we are able to evaluate another sample. Sample Photos - The camera produces images with good colour and reliable exposure, and images taken in sunny conditions have bright saturated colours. Portrait photos taken with flash show no red-eye, and the camera can take a pleasing portrait photo thanks to a blurred background when using the zoom. Lens Performance - Photos have good levels of detail, with decent levels of detail into the corners of images, and photos are good whether shooting wide-angle or using full optical zoom. There is some barrel distortion when shooting wide-angle, and a little vignetting. There is some purple fringing in areas with high contrast, such as leaves against a bright sky, although these are most noticeable towards the corners of the image. Dynamic range is good, and there are options to improve dynamic range using the iDynamic option, altering the highlight/shadow curve, or shooting using the HDR mode. The lens is quite resistant to flare, and the provided petal shaped lens hood helps reduce flare further. Panasonic's attempt to develop clean bokeh appears to be very much apparent in the photos we took with the camera. The camera will let you focus on subjects 1m away from the camera when using full optical zoom, and 0.6m and 0.4m are also close focusing distances when using less zoom. Using this technique for macro photography, such as photos of flowers or other subjects, allows for a very smooth background blur. ISO Noise Performance - For the lowest noise and best detail possible we would recommend using ISO80 to ISO800, as images have low levels of noise and good levels of detail. For lower light situations ISO1600 to ISO3200 still provides good results, although noise increases and detail is reduced. At ISO6400 and ISO12800 noise levels become strong and we would recommend avoiding this setting if possible, although results may still be useful if resized and used on the web. White Balance Performance - Auto White Balance (AWB) performs very well under tungsten lighting, with the tungsten preset giving a warmer result. AWB performs very well under fluorescent lights. There is no fluorescent preset built in, so if you are unhappy with the results under fluorescent lighting you would be best switching to manual white balance or adjusting the white balance. Digital Filters - The camera has 22 creative filters available, and we've included examples above. The camera also lets you record the original raw image as well as the JPEG, so that you can go back to the original photo if you want. You can also apply a number of digital filters to the panoramic shots. Video - The FZ1000 offers 4K video recording at 3840x2160 (QFHD) resolution, at 25fps and 4K video is recorded as an MP4 file. Videos feature stereo sound and a mic socket is found on the side. Optical zoom can be used, with the speed of zoom controllable using the zoom ring around the lens, letting you zoom in and out slowly if you want, or more quickly using the zoom control surrounding the shutter release button. 5-axis Hybrid optical image stabilisation helps keep shots steady, and there is also an option for the horizon to be kept level. FullHD video can be recorded at 100fps, giving fullHD high speed video, and there is also the option to create time-lapse videos. In playback mode on the camera, you can pause the video and save 8 megapixel still images from 4K video, giving another way of capturing photos. Additional examples can be found on the ePHOTOzine YouTube channel. The Panasonic Lumix FZ1000 is available for £749 which makes it excellent value for money, particularly as one of the only compact cameras capable of recording 4K video. Alternatively, you could look at the Panasonic Lumix GH4 if 4K video is a priority, although this is priced at £1299 body only. The Panasonic Lumix FZ1000 is one of the cheapest 4K video recording devices available, and offers an array of impressive video features. However, if you don't want to record 4K video, and just want a camera capable of taking excellent photos, with a good zoom lens, then the Panasonic Lumix FZ1000 certainly delivers here as well. With a relatively large 1inch 20 megapixel sensor, a bright Leica 16x optical zoom lens with f/2.8-4.0 aperture, and full manual controls, the camera is capable of producing excellent image quality. Panasonic has clearly worked hard on developing an excellent performing lens, and the results can be seen in the photos, particularly in regards to pleasing out of focus backgrounds (bokeh). The camera has a great 3inch tilting screen, as well as a large, bright, high resolution electronic viewfinder, with a comfortable rubber surround. 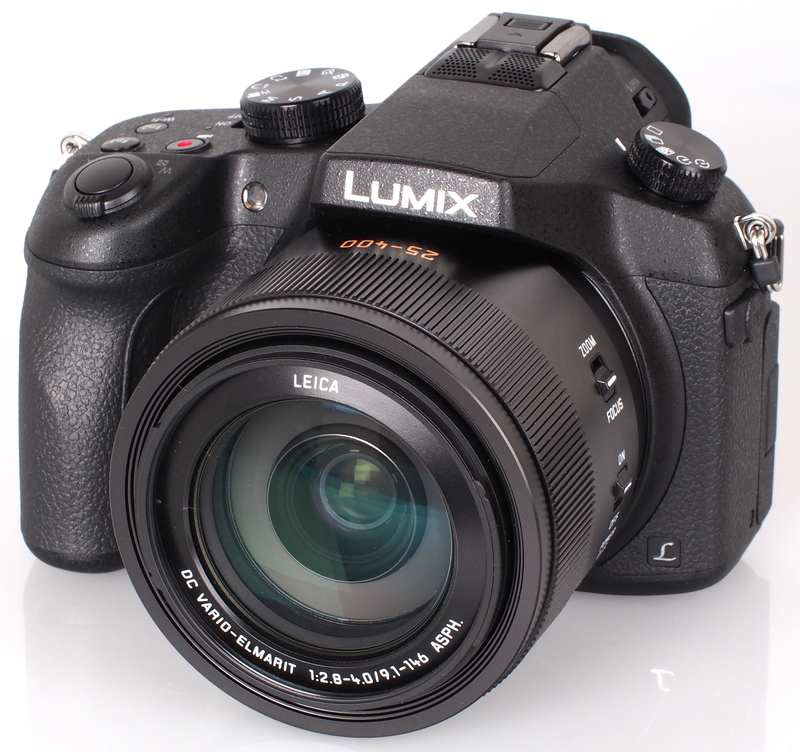 Build quality is very good and the camera has a lot in common with the Panasonic Lumix GH4, the top of the range Micro Four Thirds camera from Panasonic. There are numerous external controls and buttons, as well as full manual controls, but you can also use the camera in auto mode, or one of the scene modes and still get great shots, as well as high quality video. The Panasonic Lumix FZ1000 delivers impressive image quality, an abundance of controls and features, as well as 4K video recording. kinda pricey but you are getting a 1" sensor and 4K video, 12fps and that EVF has got to be spectacular!! if IQ is close to being descent i see this taking the market by storm. i would be interested for sure and i'm not a Panny fan!! Mmmmm....looks to be a great piece of kit ? Look forward to the full review !!. O.K., I have a Panasonic DMC FZ range model - because at the time of purchase the Olympus and Fujifilm alternatives weren't readily available - so please note I am not biased towards the Panasonic. Two things I see - which they changed to the better and copied from Fujifilm - COLOUR: as I have once said better all black rather with that hideous silver-y ring around the lens-end, like mine has - which I always wanted to cover with a dark cloth - . Now it can be more Ninja like stealthy. NUMBERING ON THE LENS: Not that it helps when composing the image but at least you easily get to know what sort of focal length you use. Bravo Pany. Looks really good - only minor downsides are bulk and distortion (in-camera correction would be good). Hardly surprising given sensor size and lens range / quality. Seems expensive but Nikon would charge that for the lens alone for their 1-series. Probably just my eyes, but I can't like Panasonics colour palette. Purplish skies don't do it for me. Looks really good - only minor downsides are bulk and distortion (in-camera correction would be good). Hardly surprising given sensor size and lens range / quality. Seems expensive but Nikon would charge that for the lens alone for their 1-series. Probably just my eyes, but I can't like Panasonics colour palette. Purplish skies don't do it for me. Really nice detail in the standart test shots of the Hall. Wide angle and "some zoom" are almost RX100 M3 level, just slightly less contrast. And purple tint in the sky is visible just a bit, don't bother. However, full zoom shot of the Hall's tower clock has visibly softer periphery with signs of purple fringing (center is good sharpness, but not perfect). ISO 3200 looks nice to my eye. My Nikon d7000 has more color noise at this setting. Well done, Panny! Look forward to announcement of LX8. Let 1"-sensored fixed-lens cameras become new standart for demanding consumer. Really nice detail in the standart test shots of the Hall. Wide angle and "some zoom" are almost RX100 M3 level, just slightly less contrast. And purple tint in the sky is visible just a bit, don't bother. However, full zoom shot of the Hall's tower clock has visibly softer periphery with signs of purple fringing (center is good sharpness, but not perfect). ISO 3200 looks nice to my eye. My Nikon d7000 has more color noise at this setting. Well done, Panny! Look forward to announcement of LX8. 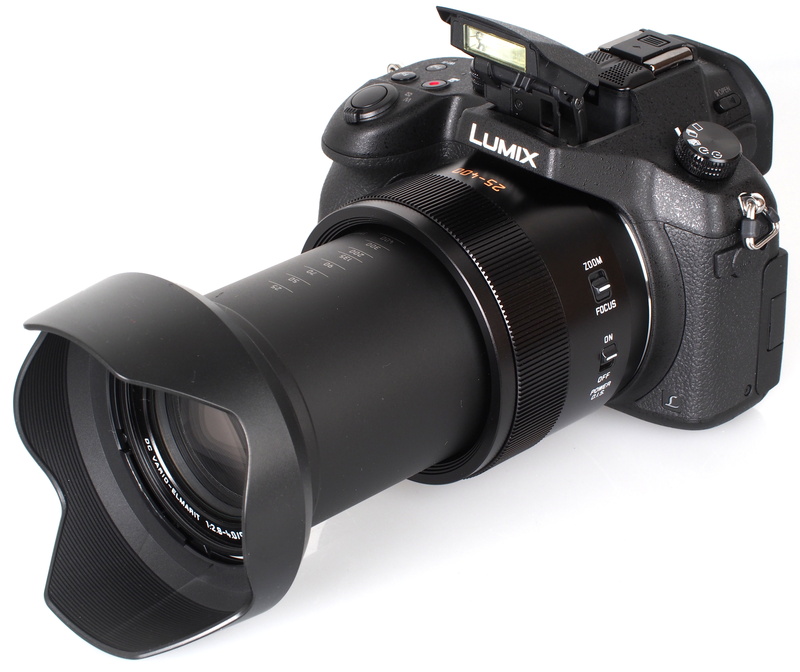 Let 1"-sensored fixed-lens cameras become new standart for demanding consumer. [quote]However, full zoom shot of the Hall's tower clock has visibly softer periphery[/quote] I think that's from the very shallow depth of focus - lens is wide open and at full zoom. I think that's from the very shallow depth of focus - lens is wide open and at full zoom. What's going on Panasonic? Releasing a great camera that's good value right out of the blocks? I'd got the impression their policy was to release [over] expensive and then gradually let third party retailers discount. Once a camera is superseded you then get fire sale prices. I hope this camera gets the sales it deserves and encourages Panasonic to adopt a similar strategy across its range. What's going on Panasonic? Releasing a great camera that's good value right out of the blocks? I'd got the impression their policy was to release [over] expensive and then gradually let third party retailers discount. Once a camera is superseded you then get fire sale prices. I hope this camera gets the sales it deserves and encourages Panasonic to adopt a similar strategy across its range. [quote]"Verdict: The Panasonic Lumix FZ1000 is [u]one[/u] of the cheapest 4K video recording devices available..."[/quote] What 4k video camera is cheaper?? Quote:"Verdict: The Panasonic Lumix FZ1000 is one of the cheapest 4K video recording devices available..."
What 4k video camera is cheaper?? Thank you joshwa. I stand corrected. That little a500 action cam is available now isn't it? There are also the GoPro devices if you only want 15fps, and you can shoot 4k on a smartphone, or for even better quality the Samsung Galaxy Note 3 that (with image stabilization) can produce 4k that is 'usable' - whatever that means. Hi! You have put "Large" in Cons. I would really put that in "Pros"! We, professionals, we are tired of cameras with a permanent sensation of impending fall ! Good, Panasonic! You have put "Large" in Cons. I would really put that in "Pros"! We, professionals, we are tired of cameras with a permanent sensation of impending fall ! Good, Panasonic! I was close to buying this for photographing and videoing BMX racing but I have seen a recent review together with video which shows that the video zoom only operates in "steps" and also v worrying it loses focus whilst zooming in and out. The problem was reported on 2 examples. Has anyone with the camera experienced this issue? I have put my purchase on hold until I can lay my hands on the camera. I've had one for 5 months now, and depending on what you're looking for I don't think you can knock it. As a 'silver surfer' who wanted an all-in-one camera rather than my previous Canon DSLR, which had 6 lenses to faff around with (3 AF lenses and 3 pre-digital lenses with adapters, including a Sigma 600mm mirror lens) - the FZ1000 does what I want. Strangely it has more 'bells and whistles' than my Canon DSLR had, but once you get used to a different style, and the minor limitations of an all-in-one lens, the images are very sharp. The EVF is very bright, and surprisingly good, not a drawback at all. 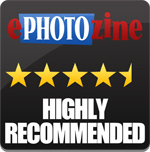 It certainly saves lugging around a bag full of kit, and as an EPZ member you can see some results of still photos here on EPZ. For what you pay, and of you are prepared to learn all of its functions, a few of which are a bit quirky, this camera rocks! I've had one for 5 months now, and depending on what you're looking for I don't think you can knock it. As a 'silver surfer' who wanted an all-in-one camera rather than my previous Canon DSLR, which had 6 lenses to faff around with (3 AF lenses and 3 pre-digital lenses with adapters, including a Sigma 600mm mirror lens) - the FZ1000 does what I want. Strangely it has more 'bells and whistles' than my Canon DSLR had, but once you get used to a different style, and the minor limitations of an all-in-one lens, the images are very sharp. The EVF is very bright, and surprisingly good, not a drawback at all. It certainly saves lugging around a bag full of kit, and as an EPZ member you can see some results of still photos here on EPZ. For what you pay, and of you are prepared to learn all of its functions, a few of which are a bit quirky, this camera rocks! [quote]We weren't able to achieve the 12fps continuous shooting speed, however 8.3fps when shooting JPEG is still quick, and we expect that the cameras available in stores should be able to reach the full speed. [/quote] Josh, try this with Continuous AF selected, it's the only way it will work; otherwise it will give 7fps. Quote:We weren't able to achieve the 12fps continuous shooting speed, however 8.3fps when shooting JPEG is still quick, and we expect that the cameras available in stores should be able to reach the full speed. Josh, try this with Continuous AF selected, it's the only way it will work; otherwise it will give 7fps. [quote]Probably just my eyes, but I can't like Panasonics colour palette. Purplish skies don't do it for me. [/quote] Well late, but RAW doesn't do that, and jpeg is infinitely adjustable. I haven't seen that problem, btw, using default settings in jpeg. I've shot several thousand images RAW + jpeg, and haven't had to adjust colour yet. Quote:Probably just my eyes, but I can't like Panasonics colour palette. Purplish skies don't do it for me. Well late, but RAW doesn't do that, and jpeg is infinitely adjustable. I haven't seen that problem, btw, using default settings in jpeg. I've shot several thousand images RAW + jpeg, and haven't had to adjust colour yet. Does your laptop have an SD card slot? Most do....just take the SD card out of the camera and put it in the slot. Open the file which appears, and download your pics. I do this with my FZ1000. Also if you use an IPad, Apple camera/SD adapters are inexpensive, and once pictures are on your ipad you can upload them to sites such as EPZ. Thanks for your response, Dave. Sadly my laptop is a notebook and doesn't have an SD card slot - and my current multi-card reader is not compatible with my new SD XC card! I thought I could get round my outdated SD card reader using the cable but without some kind of software on my laptop it won't recognise my camera. Just a thought HGHF, the FZ1000 has a WiFi option. Have you thought of setting it up and transferring images wirelessly to your notebook? I haven't done this myself but I know it can be done. Good luck if you have a go, a friend does this with a Sony HX50 to computer wirelessly and she gets very good results. Good idea, I'll try that! You'd think they'd realise that most people don't have dvd drives any more!! I'm sure you can go to Panasonic/support web site and download a manual, firmware updates, picture processing software etc. I usually do that for all my equipment. You can register your purchase as well. As for looking at your pictures, when you use a lead the camera should look like another drive so just navigate to the pics and download. You wont be able to see raw unless you download the appropriate software first. Hi Bob, you can download the software update but it tells me to install the original software first before it will update it! Plugging the cable in to my laptop, with my camera attached and turned on, the laptop did not "see" the camera at all - though I tried it in different USB slots and the laptop could see other USB devices plugged in. Don't use this sort of kit, Thomas, I hope someone who does will reply to the forum. Kind regards. Don't use this sort of kit, Thomas, I hope someone who does will reply to the forum. Panasonic has done what i have been always mentioning about the bridge cameras. 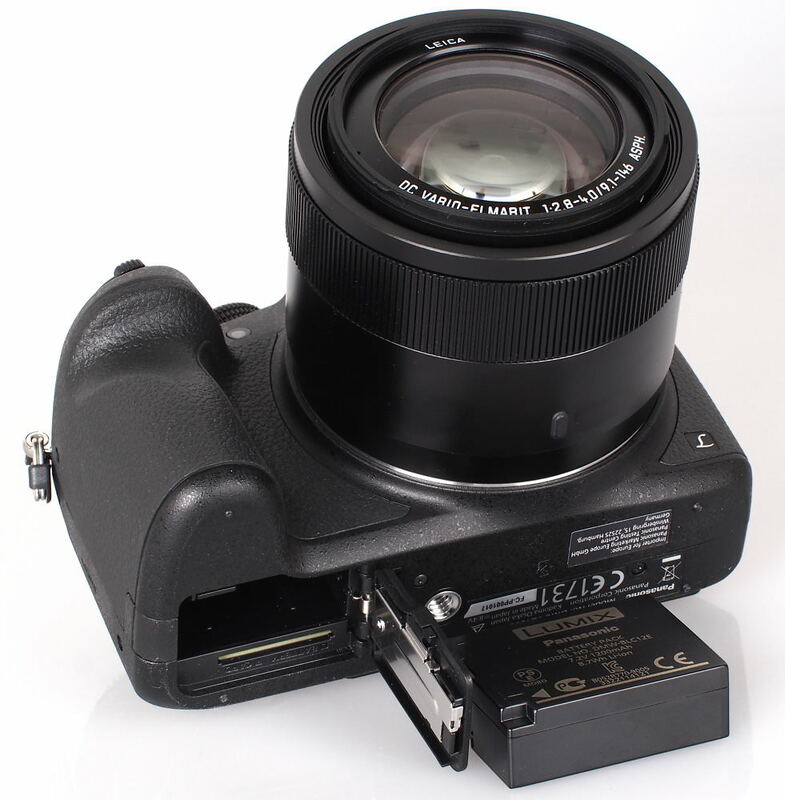 They have printed (rather than engraved) the focal length values on the lens barrel.